Táto stránka obsahuje krátke predstavenie tohto úžasného mesta. Poskytuje ľuďom z celého sveta len vzorku toho, čo môžu zažiť, ak ho prídu navštíviť. Ak žijete v tomto meste alebo máte s ním spojenie, podeľte sa s NDN o svoje zážitky, zaujímavosti a podujatia, ktoré sa tu konajú. 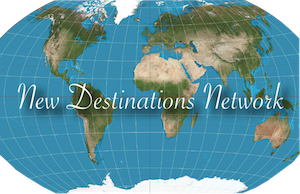 New Destinations Network ponúka organizáciám a firmám aj možnosť reklamy a propagácie v medzinárodnom meradle, nielen na miestnej úrovni. Bez ohľadu na to, ako by Ste sa chceli zapojiť, budeme sa tešiť, ak sa na nás čo najskôr obrátite! Bratislava is the capital of Slovakia and is located in the south west of the country, having the boarders of Austrian to the west, Czech Republic to the north and Hungary to the south. It is situated on both sides of the beautiful River Danube, which is the life blood of the city and surrounding region. It is known as ‘The little, big city’, as although it is only a relatively small city, it is crammed with so much to see, do and experience. The story of this city started with its first inhabits in 5000 BC (Neolithic times) and then later fell under Roman rule from the 1st Century AD. Since then it has been ruled and influenced by the Austrians, Croats, Czechs, Germans, Hungarians, Jews, Serbs and obviously Slovaks. This history has made the city a colorful, interesting, multi-cultural destination, in so many ways. The city is dominated by medieval towers and grandiose 20th century buildings, which are mainly located in ‘the old town’. Bratislava Town Hall is a spectacular structure and is actually 3 buildings. Built between the 14th and 15th century and includes the City Museum. It also has a beautiful chapel, moon-globe and clock, ornately designed function rooms (that are still used for official duties), a courtyard build in the 1500’s and a superb collection of paintings. Other important venues in the city are; Michaels Gate which is the only preserved section of the medieval fortification, that once protected the city. Primates Palace is a 18th century neo-classical building, where the Peace of Pressburg agreement was signed, following the battle of Austerlitz. It is now a gallery showing a collection of tapestries from the 17th century. Slavin is the largest military monument in central Europe being 52 meters high and commemorates the 6,845 Soviet soldiers that died during the liberation of Bratislava, during the second world war. There are many other buildings, structures and places of interest in the city, such as; The underground Jewish Cemetery, Slovak Radio Headquarters, which is in the shape of an inverted pyramid, Kamzik TV tower, with revolving restaurant and great views and Slovak National Theatre, where locals and visitors can enjoy a variety of music, ballet and operatic performances. There are several museums and galleries to visit to; Slovak National Museum, Natural History Museum, Slovak National Gallery, Bratislava City Gallery and Danubiana Art Gallery. There are many religious buildings that were built during a variety of periods and in different styles. St Martins Cathedral is in Gothic style and built between the 13th and 16th centuries and once served as the Coronation church for the Kingdom of Hungary (Bratislava is also known as the Coronation City). The Franciscan Church dates back to the 13th century and is the oldest preserved sacred building, being the location of many knighting ceremonies throughout its time. The church of St Elizabeth or Blue Church as it is known, for obvious reasons, was built in Hungarian Secessionist style. Hlavne Namestie, main square is a central and meeting point for many who visit, as it a beautiful looking space and open area, plus is close to all the attractions many visitors want to see. Just a couple of fun and interesting statues for tourists to try and find are; the famous Man at Work, Nice Nazi, Napoleonic soldier and Paparazzi characters. Visitors can trace the route of the historical Coronation Procession by following crown-shaped brass plaques set into the pavements of the city. The building that dominates the city and sky-line is the famous Bratislava Castle, which is situated 85 meters above the river. This hill was inhabited throughout the Stone and Bronze age periods. It has been used for and by many inhabitants, such as; a Celtic town, Roman settlement, Slavic fortified settlement, stone castle during the Kingdom of Hungary, Gothic fortress under Sigismund of Luxembourg, a Renaissance castle, a Baroque castle, a royal seat for Queen Maria Theresa and then finally after it was rebuilt in the 1950’s a Theresian Style castle that it is today. Due to being located at the bottom of the Little Carpathian Mountains and being in the Danubian floodplain region, the area has a vast amount of vegetation, in fact approximately 47 square kilometers of public green space. The largest is Bratislava Forest Park which is approximately 27 square kilometers and is home to a variety of flora and fauna. Many creatures roam throughout the park, such as; badgers, foxes, boar and deer. There is also Janko Karl Park, Bratislava Zoological Park (which is home to 152 species of animals, including the white lion and white tiger) and the well-stocked Botanical Gardens. The Plaza of Hviezdoslav is one of the main areas for people to gather, both during the day and night, as it has many restaurants, bars and shops. It is tree lined, with grassed areas, seating, plus has several statutes and monuments. On a hot day and there are many in Bratislava, try some locally made ice-cream, as it is famous for its quality and variety. The city can be as enjoyable by night as by day, as there are many bars, breweries, wine bars and clubs, a lot of them are based in cellars, giving them a unique atmosphere. It is a fun and enjoyable city at night and defiantly has a lively party atmosphere, but not spoil, like some European Cities, by the over- reliance on disruptive Stag and Hen parties! By day or night, the long ‘embankment and promenade’ area that is adjacent to the river is very popular for visitors and locals. People sit on the grass or seating areas, observe the river from viewing balcony’s, run, roller-blade, cycle or stroll along the paths or let the children enjoy the play areas. For much of its length, there are hotels, restaurants, bars and shops too, so there is something for everyone. For the shopaholic tourists, there are 7 major shopping centers, Avion Shopping Park and Eurovea Commercial, Retail and Residential Complex. It also has many traditional, craft and sovereign shops in the old town, which also has markets too. The Bratislava Christmas Market is now a well- estimated event and is visited by thousands from around Europe every year. There are now many places for visitors to stay in the city and they range from hostels to 5 Star International Hotels, but they should be booked well in advance, especially if during the Christmas Market or other events. Two of the most popular hotels are the Hotel Sheraton and Grand Hotel River Park. The Sheraton is popular due to its city center location, relaxed style and excellent accommodation. The Grand Hotel River Park is only a 10-minute walk along the Promenade, along the River Danube and has the highest quality accommodation in the city; with its high-class interior, top class services, spa, gym, pool, restaurants and bar. There are many ways to see the city, from walking tours, cycling, treasure hunts, the famous Presporacik Train (carriage style vehicle), cruises up and down the Danube and maybe even a speed boat ride. Information is easy to obtain, as there is an Information Centre, readily available maps, leaflets, but increasingly people are using App’s and mobile phones. This is great news for Bratislava, as it has one of the fastest public Wi-Fi access in Europe. If visitors would prefer to use arranged trips then Dowina Tours are a local and highly recommended company, that provide the full range of services to tourists. The river is spanned by 5 bridges, the most popular being The Bridge of the Slovak National Uprising or SNP Bridge for short, with its100 meter high UFO Restaurant (aptly named) and observation deck. The restaurant serves high quality cuisine and the customer service is top class. The views of the city, castle and River Danube are amazing and some of the sunsets are breath taking. The region surrounding the city has many places to visit too, the most significant being Devin Castle, which is approximately 15 kilometers from the city center. It sits on top of a rock above the confluence of the River Morava and Danube, which is the border with Austria. It has a very complicated history and is of great historical importance to Slovakia, despite being partly destroyed by Napoleons Troops in 1809. A part of the remains is the ‘Nuns Tower’ which is where a young woman throw herself into the River Danube and died, after her father killed her lover, as he had not given permission for the relationship. In the late nineties, this point of the border is where over 400 people died trying to cross the border (the rivers) into Austria and freedom from the Socialist state. The Monument of the Iron Curtain is situated at the water’s edge at the base of castle and commemorates these people. The countryside surrounding the castle is a biosphere reservoir, so heavily protected, so that nature can be preserved. This region is famous for its wine, which is unique, as they use currants and not grapes in the process. Trying 6/7 types of wine and having some local food to accompany it, which then usually leads to an additional period of drinking more of the wine, is a great way to spend a afternoon/evening. Vino Mrazik Devin Winery is a great example of this and is within a short walking distance from the castle and monument. Car manufacturing is extremely important to Slovakia and has the nickname of being the Detroit of Europe, but unlike the American comparison, this industry has a bright and long-term future. A visit to the Volkswagen Plant is very interesting, as people can see how a modern car making facility operates. Although it has over 12,000 employees it has hundreds of robots, including the ‘Perceptron’ for inspecting work and ‘FTS’ vehicles, which is part of a driverless transport system. Pre-booking and ID entry is required, plus there are no photographs allowed, as the establishment is very keen on keeping their processes and equipment to themselves. Another important venue to Bratislava and Slovakia is the X-Bionicsphere, which is a sports facility like no other, spreading over 1,000,000 square meters and having facilities for 27 Olympic Sports. It has Sports Pitches, Gyms, Hotel, Conference Centre, Swimming Pools, Water Slides, Spa and high quality Equestrian Centre and Stables. Add to that a selection of restaurants, bars, gardens, seating areas and ample parking and there is everything for any sportsperson, team, organization or just a day of fun for a family. Slovakia and in particular Bratislava is famous for its ‘Pressburg Cuisine’, named after its original German name for the region. It is a mixture of Slovak, Austrian, Hungarian and Czech influences, using a lot of vegetables, dumplings, asparagus and a multitude of other food types. Visitors should have a least one authentic and traditional meal when in the city, which after doing so, may decide to eat it throughout the whole stay. Bratislava is becoming the new destination for meetings, incentives, conferences and exhibitions (M.I.C.E. ), as it has everything a location needs to host such large and important events. It has the infrastructure, venues, growing experience, surroundings, hospitality and customer service skills required and expected, but also has that something extra, it is that special taste of Bratislava, which no other place can provide. 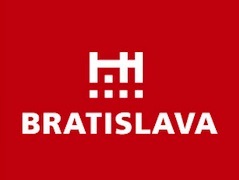 Bratislava Tourism Board are activity looking to promote this sector, so for more information about this contact them directly. In June 2017 Bratislava was given the prestigious Golden Apple Award, which is given for excellence in tourism, by FIJET (World Federation of Travel Journalists and Writers). Bratislava is a little city, but that makes it a great place to visit, as virtually everything is within walking distance, or a short journey away. It is also a big city, as there are so many things to see, do and experience. What do people want to do and what should they except when visiting Bratislava; art, culture, gastronomy, beer, wine, night-life, music, sport, relaxation, history, heritage, entertainment etc. Bratislava has it all and more!